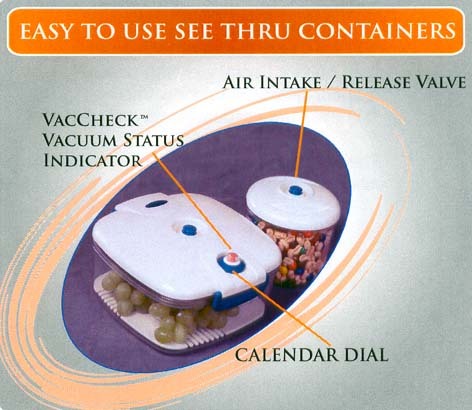 PUMP AND HOLDER - Use it to remove the air of your MaxVac container, creating a vacuum that will help preserve your food for a longer period of time. The MaxVacs are made from the highest quality foodgrade Polycarbonate plastic, sanitary non-porous material, see-through design, microwave, freezer and dishwasher safe, durable, tough and lasts forever. 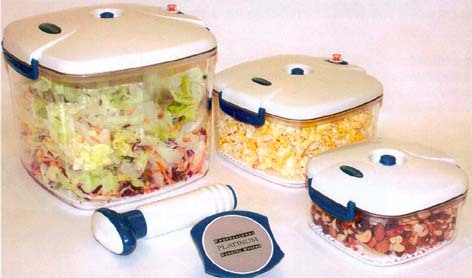 Also the most effective and versatile vacuum sealing and marinating system for all types of foods. 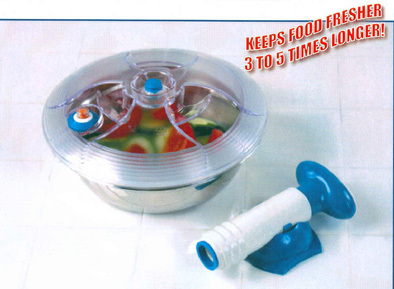 The most effective and versatile vacuum sealing and marinating system for all types of food. 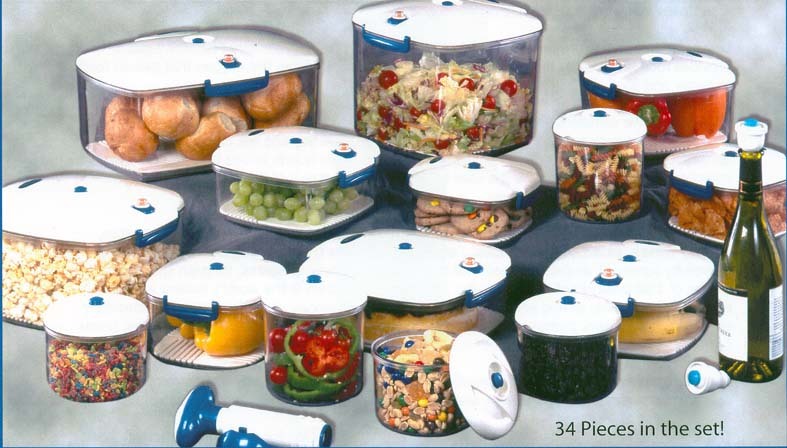 This 34 piece Deluxe set gives you everything you will ever need.